The Frankston Dolphins Junior Football Club started life as the Frankston VFA Football Club back in the early 1960s and was based at the Dolphins Senior oval at Kars Street. In the mid 1970s the Club then moved to our current location at Overport Park. In 2003 our Auskick program kicked off with just 36 kids. With a focus on fun, friendship and development this has grown each year and this year we had over 100 kids participating in this programme on a Friday night. An interesting fact is that we have won 9 Grand Finals in the 13 years since we started our Auskick development programme! A well regarded Club of the Frankston & District Junior Football League, our Club attracts players from a wide area, including Frankston South, Mt Eliza, Frankston, Karingal, Seaford, Baxter Mornington, and other close locations. 2018 has once again seen the Club achieve record membership, fielding three Under 9 teams, three Girls teams, as well as a senior women’s team playing under the junior club banner, making a total of 19 teams. 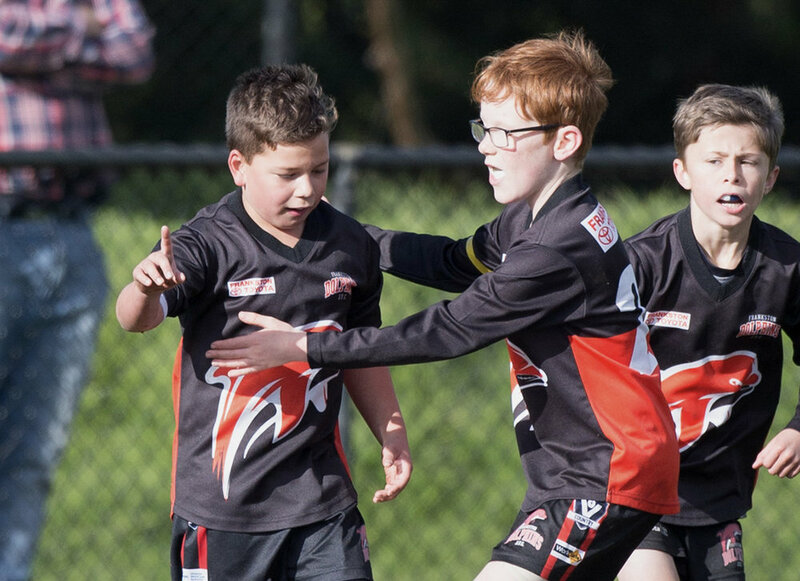 The Frankston Dolphins JFC has achieved considerable on-field success while remaining focused on ensuring player enjoyment and participation. Winning is not everything, and the Club takes great pride in the contribution made to the personal development of our young players over many years. Parents will find our Club a friendly and safe, positive environment for their children. 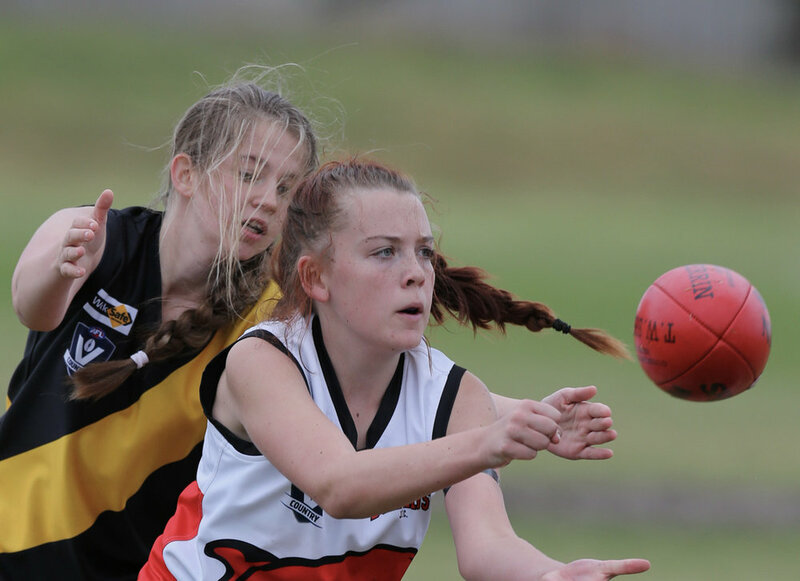 The Frankston & District Junior Football League season runs from April to September with games played on Sundays. Our Dolphins Auskick programme runs on Friday nights. And anyone can play! The Under 9 to Under 17 mixed competition is for boys and girls aged between 7 to 17 years of age. Our Auskick programme is for boys and girls aged from 5 to 12 years of age (Prep-Grade 6). In 2015 we introduced our Youth Girls programme, specifically for girls aged 12-18 years (U13s-U18s) which has now expanded to two teams (U13′s and U18′s). We always welcome new families at the Dolphins and encourage parent involvement at either a team, volunteer or committee level. The Frankston Dolphins Junior Football Club is proud to have achieved accreditation as an AFL Quality Club. This is a nationally recognised accreditation program that acknowledges best practice club management and administration. Clubs accredited in this program demonstrate a community focused outlook and lead the way for all community clubs to develop good club management practices and proactively support their volunteers. The Frankston Boys are happy, the Frankston Boys are we – are we. The Frankston Boys are happy, we’re happy by the sea. We love to win for Frankston, our password is attack. With victory after victory, for the red, white and black. So, join in the chorus, and sing it one and all. Join in the chorus, for Frankston’s on the ball. Look out for Frankston, we’re really on the way. With victory after victory, we’ll lead ‘em all the way. YAY! (To the tune of the Scottish folk song ‘A Wee Doech and Doris’ AKA the North Melbourne Kangaroos anthem tune).